Wedding bouquets can be a real expense, especially something as extravagant and beautiful as a big cascading arrangement. 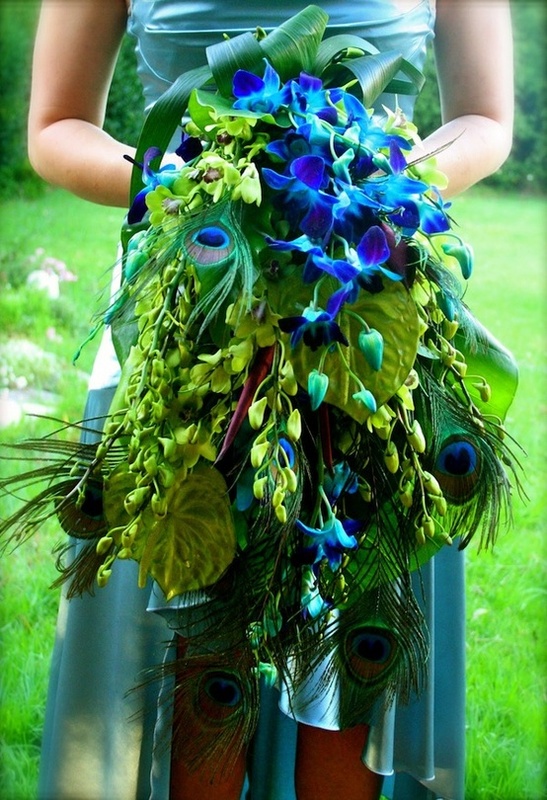 But head on over to spider flower for their step by step peacock bouquet which worked out at only $35! WOW!